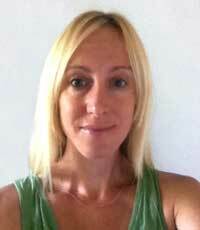 Emma Suttie, D.Ac, AP is the founder and director of Chinese Medicine Living. Emma’s love for Chinese Medicine began as a teenager when western medicine failed to correct underlying health issues she faced, but acupuncture and herbal treatments did. From that moment forward she was committed to extending this gift of health to others. She received a Diploma of Acupuncture from the Institute of Traditional Medicine in Toronto in 2006. Over the next several years she worked at a number of multidisciplinary clinics developing her skills and techniques while working collaboratively with other health professionals, including medical doctors to restore health to her patients. She is publisher and often author for Chinese Medicine Living. She is a contributor to Acupuncture.com and to Chinese Medicine Digital Magazine.